kids and I have been treat making machines in prep for hosting Easter brunch this Sunday. Here's hoping we can still have some left by the time Easter actually arrives. 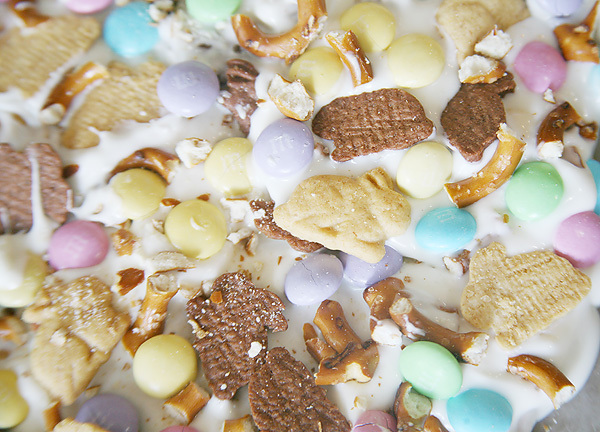 This yummy Bunny Bark recipe was so easy and so much fun to make with them. That's the magic of the bark - no matter what you do the "more the merrier" approach makes it even more delicious (and these kids of mine aren't ones to shy away from adding in some extra sweets. 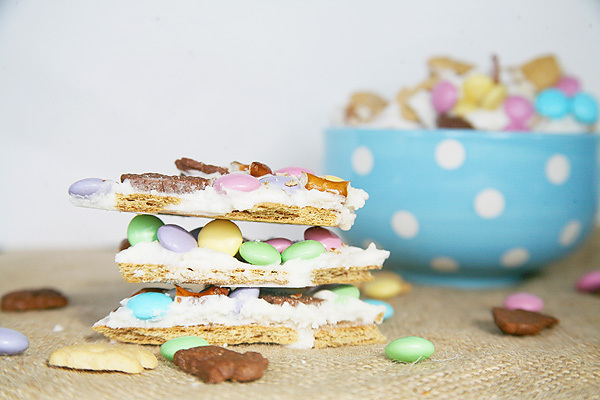 Grab your kiddos and hop on over to Savvy Sassy Moms for the recipe and instructions! Stay tuned for more Easter fun the rest of this week! What fun things are you doing to prep for Easter weekend?